Taking our Ballroom and Latin Medallist classes leading to Dance Exams is a great way of developing your dance style and getting a real sense of achievement. 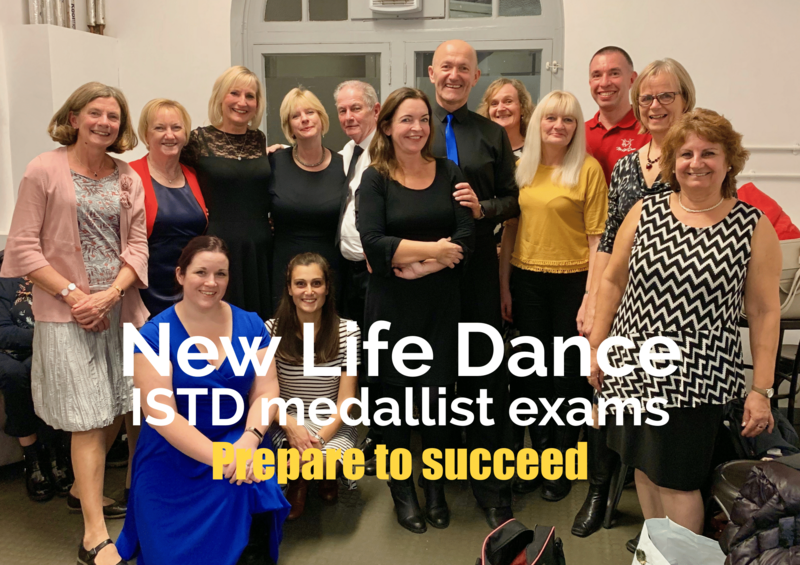 Here, at New Life Dance, we can train you to not only learn new moves but develop great technique and posture along with correct footwork to really improve your dancing ready for widely recognised ISTD exams. Saturday 6th April 2019 – Medallist lessons in the afternoon covering various dances. Contact Elaine on 07702 437101 to check availability as places are limited. Saturday 13th April 2019 – To be confirmed – please reserve this date. Watch this page for future dates. The next exam date is confirmed as Sunday 2nd June 2018 at URC hall. Please note: this page will be updated as new dates are allocated. Englefield Green Class at St Jude’s School Mondays Term Time (7.30pm-8.30pm – see separate page) but dates in May 2019 will vary – please phone Martin on 07930 327556. 2.5 hr single dance workshops (eg Waltz) at St Stephen’s (or URC, Winchmore Hill). Please contact Martin (ISTD teacher) on 07930 327556 for details of medallist dance exams available.